Over the last hundred years it has forged the shape of Studio Pottery in the UK and beyond. Scores of potters, students and apprentices, from across the world have come to the Leach Pottery to train, creating a uniquely international environment in the heart of Cornwall and maintaining the Pottery's creative principle of East/West exchange. 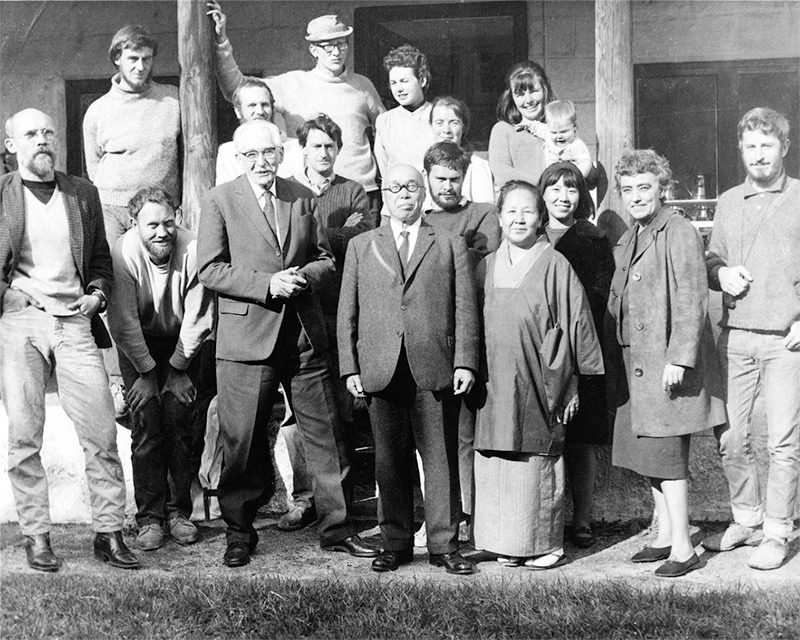 Today, the Leach Pottery Studio, Museum and Gallery continue developing Bernard Leach's historic legacy. Leach Standard Ware pottery is thrown on the wheel by an international team of production potters, volunteers and apprentices. They use stoneware clay from Doble's claypit in St Agnes, Cornwall - much the same clay as was used in the original Leach Standard Ware production. The range of glazes are selected and developed for their quality and colour and are laboratory tested for food safety. The pots are fired to 1280 degrees Celsius, resulting in a dense and durable product. During the firing, the amount of oxygen in the kiln's atmosphere is reduced and the flame pulls oxygen from the clay and glazes instead, infusing the glazes with deep, rich, iron tones. This specialised range is hand thrown using high quality porcelain. Known for its whiteness and translucency, porcelain is lighter and more delicate than stoneware, but just as strong and durable. The pots in this range are decorated with a Chinese style ying ching glaze and the rim of each piece is then brushed with iron oxide. A small percentage of iron oxide in the ying ching gives the glaze a soft translucent blue tone, accentuating the qualities of the porcelain beneath. The pots are fired to 1280 degrees Celsius using the same process as the stoneware range and are laboratory tested for food safety. Dinner, side and dessert plates.